The emerging increase in world oil prices gives reason to hope for the recovery of the market of Kazakhstan oilfield services. According to the data presented at the Conference, the total volume of purchase of oil services in Kazakhstan in 2018 amounted to 2.8 trillion KZT, showing an increase compared to the previous year by 22% (when this figure was 2.3 trillion KZT). "The price of oil is stable, and it inspires a healthy optimism," – Rashid Zhaksylykov, Chairman of the Presidium of Kazservice, said opening the conference. – The logic is simple: if our customers are are doing good, then we are comfortable." Of the total volume, 78% are procurements of three projects: Tengiz, Karachaganak and North Caspian. Local content in them, according to the Ministry of Energy, amounted to 42%. However, if you look more closely at the structure of procurements, in the category of goods it does not exceed 5%. 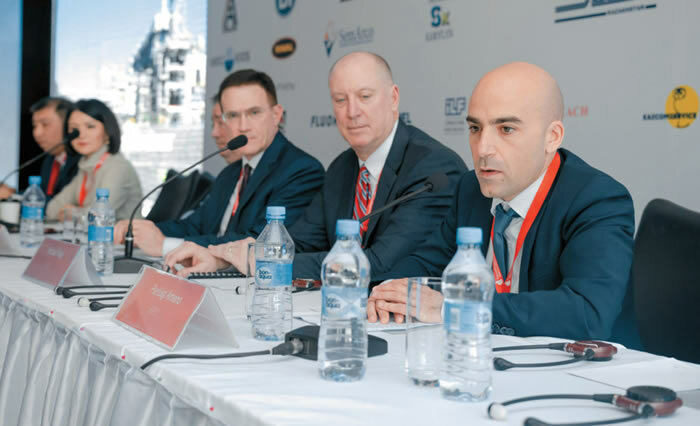 "Moreover, this figure has remained unchanged for several decades, said in his emotional speech, Murat Zhurabekov, General Director of PSA LLP, which is controlling compliance by operators in terms of the PSA on behalf of the state. – And it will remain the same if nothing is changed. We all go to Aberdeen often and see that this city in Scotland, the capital of oil production in the North Sea, is full of production facilities, assembly plants, all kinds of hubs. There is no such thing in Atyrau. Why?". According to Mr. Zhurabekov, the dispute between the producers and the operators is reminiscent of the debate about what comes first: the chicken or the egg? The process of localization of production for the oil industry is frankly stalled. Businessmen are not ready to invest in modernization without guaranteed markets. 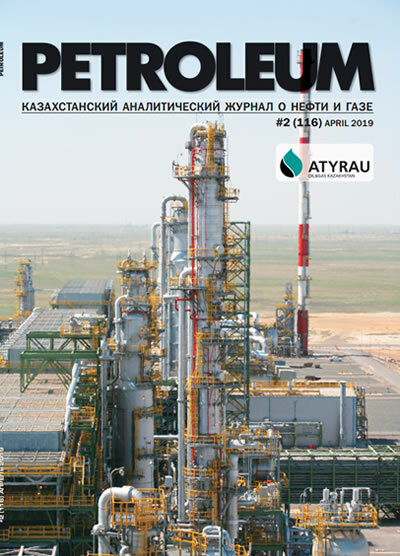 Oil and gas operators are not ready to buy technologically outdated and more expensive Kazakhstani products. It is a vicious circle that cannot be broken without competent and decisive state intervention. It is necessary to encourage subsoil users to enter into long-term contracts with producers (not for a year or three, but five or ten) so that businesses can safely invest in the modernization of production, its standardization and certification. The norm that procurements in the amount of less than 20 mln US dollars do not require the approval of the authorized body, now, after more than double devaluation of the tenge, has lost its relevance. The bar should be lowered. Local banks can not provide domestic producers with guarantees for hundreds of millions of dollars to participate in tenders of large operators, therefore, such tenders should be divided into smaller, financially optimal for Kazakhstan's business. And those manufacturers that can not be replaced, unique in their industry, such as Nuovo Pignone, Honeywell, should be forced to open service centers in Kazakhstan. 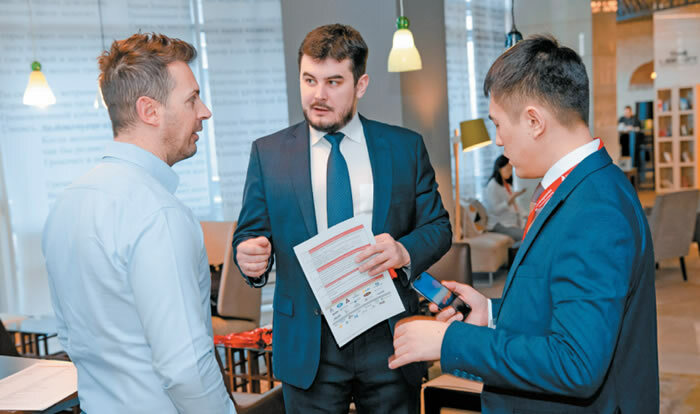 Mr. Zhurabekov made another suggestion: to form a kind of clusters around large projects, in which Kazakhstani entrepreneurs will create partnerships, import technology, gain experience. As an example, he cited the joint Kazakh-Italian enterprise Ersai, which produces foundation piles, pipe overpasses and other products. The joint venture appeared in response to the needs of the North Caspian Consortium when piles and overpasses were needed for artificial islands near the Kashagan offshore field. Now Ersai is a supplier for the Tengizchevroil JV Future Growth Project and other projects of operators. Procurements of oil and gas operators are exempt from customs duties, and the import of equipment, raw materials and components by local producers is subject to additional taxes, which makes the final product more expensive than imported. We need to change fiscal policy. In order for a business to be able to prepare in advance for tenders for the procurement of certain goods or services, it must have information in advance about planned procurements, upcoming major repairs at the field, etc. To the criticism of service providers about the lack of such information in the public domain in a centralized form, representatives of oil and gas operators quite rightly parried that they provide such information regularly to the Ministry of Energy. And if desired, the Ministry of Energy could create a special portal with such information. Member of the Presidium of Kazservice, Deputy of the Mazhilis of the Parliament Bakhtiyar Maken, said about the necessity of creating the unified Register of complaints in the area of procurement, greater control of the competent authority. And this is only a small part of the proposals made during the Сonference. 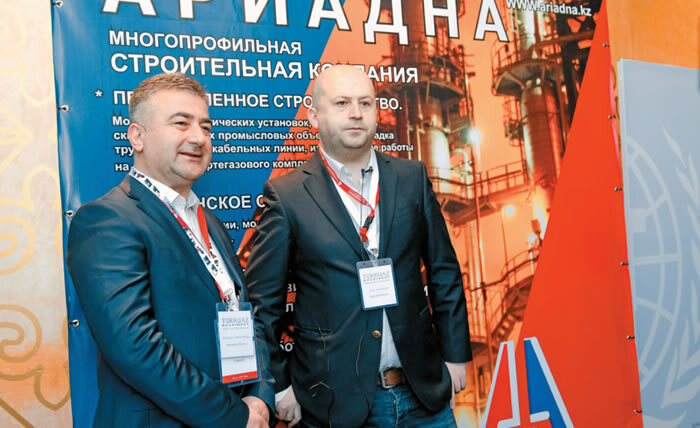 In the second part, representatives of Tengizchevroil, Karachaganak Petroleum Operating and NCOC presented their procurement plans for the near future, voiced the needs for goods, works and services in 2019, and held bilateral meetings with potential contractors from among the delegates of the Conference. Tengiz field Future Growth Project is the largest investment project in the industry with a budget of $36.8 bln. 2,173 Kazakhstani companies took part in the pre-selection process. Of these, 1,147 were prequalified and more than 400 were awarded contracts. To date, 52.5% of the work on the project has been completed, since the beginning of its implementation, $19.2 bln have been spent. Kazakhstani companies issued invoices for $9.7 bln, the estimated share of local content in them amounted to $5.6 bln. 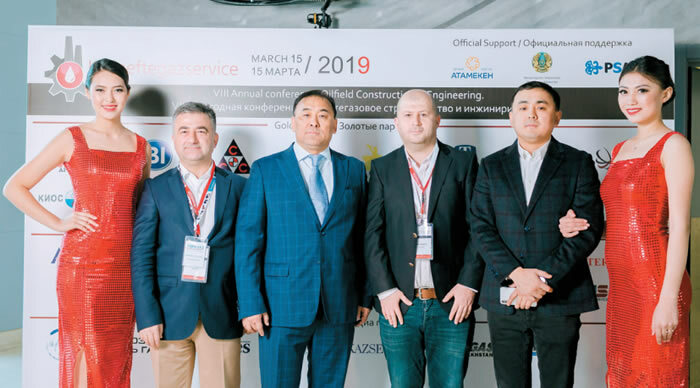 In addition to this large-scale project, TCO invites Kazakhstani contractors to participate in the main production projects. Among them: Crude Shipment Capacity Project; Rotation Village Upgrade Project; North & East Ring Project, KTL Switchgear Upgrade Project, and others. Karachaganak Petroleum Operating begins the implementation of three major projects: KPC Gas Debottlenecking Project (KGDBN), 4th Injection Compressor, 5th Trunkline. The following works are already underway on the KGDBN: civil foundation work for piperacks, underground pits, dehydration unit; structure erection of piperacks; shop welding of piping spools; pipeline stringing and welding. The efforts of the operator of the North Caspian Consortium – North Caspian Operating Company – in 2019 will be focused on the turnaround. Its start is scheduled for April 14, the duration is 45 days. The capital repair budget is $4 bln, and the main awarded contracts will be: design, engineering and construction works; maintenance; chemical + services; maintenance of rotating equipment, etc. (in the production operations block). Marine fuel supply; offshore catering, and hotel services; waste management; air cushion vehicle design, build and management services (in the logistics block). Water treatment plant; raw gas injection upgrade; workover rig for construction and services; Kalamkas/Khazar FEED (in the technical block). And in the corporate services block: FM Operations Services, travel services; security guarding services; ICT&IM Infrastructure Services, EW Accommodation/associated services.